Is there a loved one of yours residing in the city of Mandya in Karnataka, waiting to be surprised by a surprise from your side? Well, what’s a better surprise than a delectable cake? 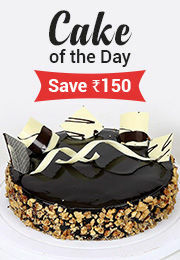 Whether it is a fudge or truffle, online cake delivery in Mandya makes it undoubtedly possible, allowing you to delight your loved one with a tasteful surprise.